It has long been the position of the Green Zionist Alliance that land disputes between the Bedouin, KKL-JNF and the state of Israel — just as in land disputes between Palestinians and Israel — should be resolved through a negotiated settlement of the involved parties, or through court decision, and not through unilateral actions. That remains our position now, as this month the Knesset debates the Law for the Regulation of Bedouin Settlement in the Negev, otherwise known simply as the Prawer Plan. The Prawer Plan — also known as the Prawer-Begin Plan, after Ehud Prawer, whose committee generated it, and Benny Begin, who has been tasked by Prime Minister Benjamin Netanyahu with implementing it — is supposed to address a very real problem: Tens of thousands of Bedouin live in unrecognized villages without public services such as garbage collection or connection to the electric grid. The Prawer Plan would relocate them to government-recognized Bedouin towns and compensate them up to NIS 8 billion (U.S. $2.4 billion) — or about $32,000 to $47,000 per person, on average, depending upon the exact number of people who will be affected. But it also would uproot families and disconnect them from their homesteads while potentially burdening Bedouin towns that already are among the poorest municipalities in Israel proper. Regardless of whether or not Israel has the legal authority to proceed with the Prawer Plan, its implementation would run afoul of Jewish values, since as Jews we have an obligation to care for the most disadvantaged among us. Additionally, failure to reach a resolution via negotiation or court decision may further extend the debate over proper sovereignty from lands outside the Green Line to lands inside it. Dealing unjustly with the Bedouin may threaten the validity of Israel as a Jewish and democratic state within its pre-’67 borders. Formally recognizing the villages, though, is also problematic, as doing so would solidify and extend development and sprawl that risks overrunning the last great open spaces of the Negev. Such open spaces are essential not just for their own sake, but also as places of recreation and respite for the Negev’s citizens, Bedouin and Jew alike. Afforestation helps stave off further desertification as well. Two years ago, in the case of the unrecognized village of al-Araqib, we said that planting forests shouldn't mean destroying homes, although forests may be the best use of the land. While people shouldn’t be forcibly evicted from their homes to plant trees in their stead, a non-negotiable stance that the unrecognized villages must remain may not be in the best interest of all either, including the majority of Bedouin. Therefore, if people leave their unrecognized villages for towns, it is doubly important that the land be preserved as open space and not simply replaced with Jewish communities as part of a larger plan to settle more Jews in the Negev. Unfortunately, however, Netanyahu’s government seems to already be planning the latter: In a special Nov. 10 meeting held at Kibbutz Sde Boker, the cabinet approved construction of a new Jewish town on the site of two unrecognized Bedouin villages, Atir and Umm al-Hiran. The government should treat all its citizens, including the Bedouin, equally, and the Bedouin should have the same rights as Jews do to live in small villages, although either way, the growing degree of poor planning in Negev land use is disconcerting. It is also disappointing to see progressive voices spending their limited energies quarreling publicly among each other with hysteric rhetoric. Indeed, the debate needs a large dose of civility. The government recognizes rightly that the status quo is untenable, but the best path forward is not simple, and is not unilateral as the Prawer Plan is. We call on progressive voices to unite to push the parties to negotiate a peaceful solution that’s fair to all involved as well as to the shared environment in which all Israelis, including the Bedouin, live. 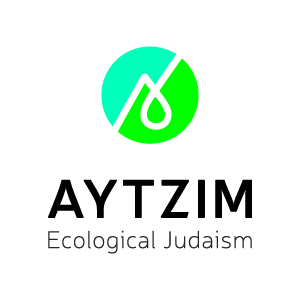 We can plan environmentally friendly communities without disenfranchisement, and we can help build an Israel as Herzl envisioned it: A place where all of its citizens — regardless of their religion, ethnicity or economic class — are treated fairly.